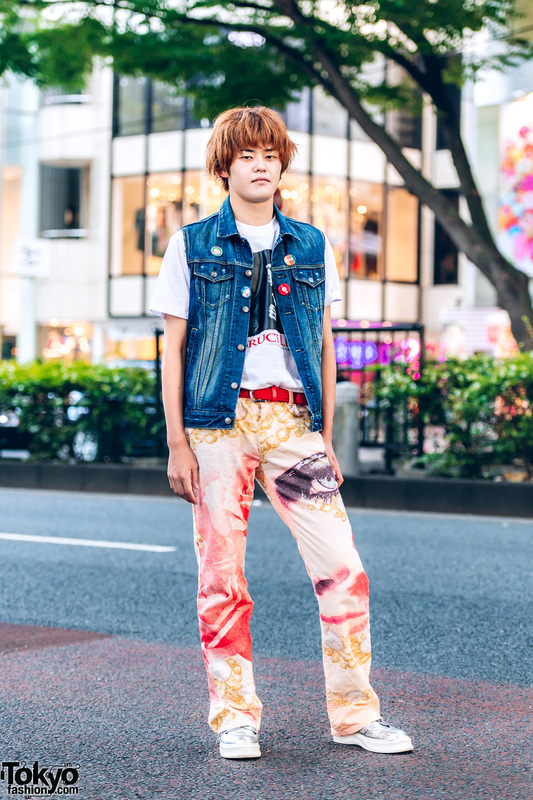 Orange-haired student in a Bruce Lee t-shirt, denim vest, printed pants and metallic sneakers. 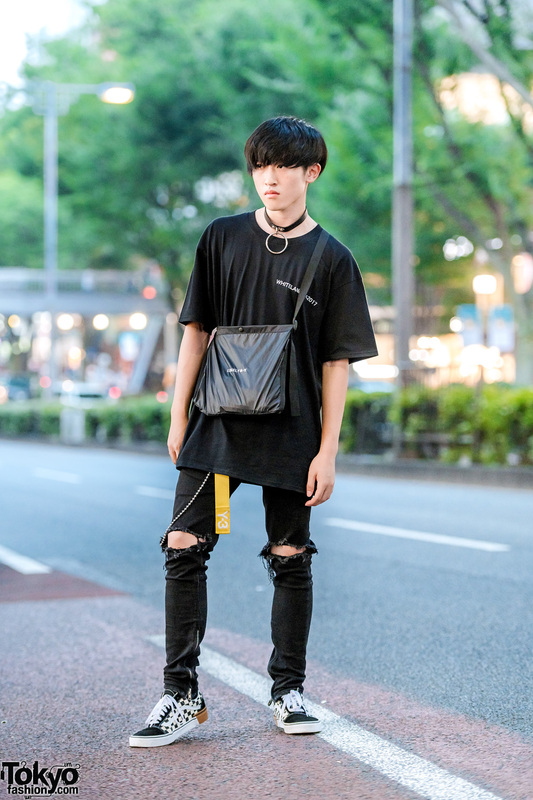 Red-haired Harajuku guy sporting a vintage outfit with printed shirt over mesh top, a tiered skirt, black boots and a wooden pendant necklace. 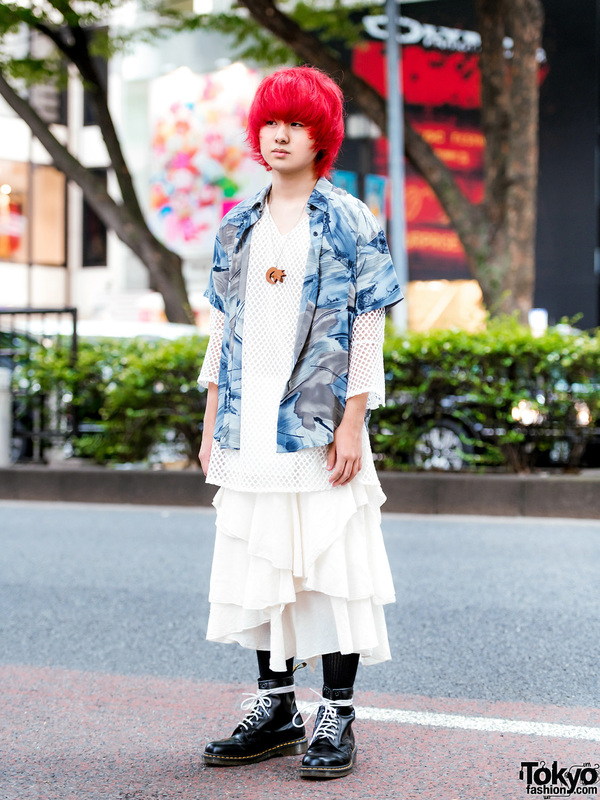 Harajuku teen wearing a vintage/resale outfit with printed top, tiered skirt, boots and accessories. 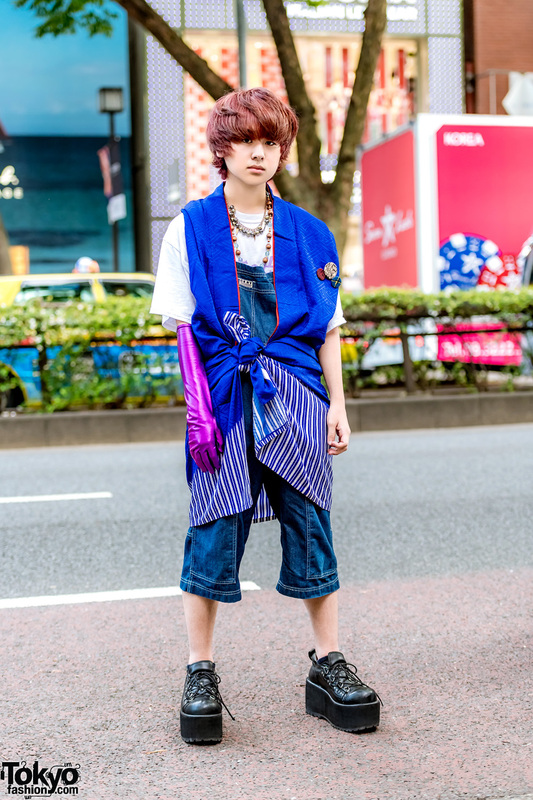 Harajuku teens Nana and Riku on the street sporting eye-catching streetwear ensembles. 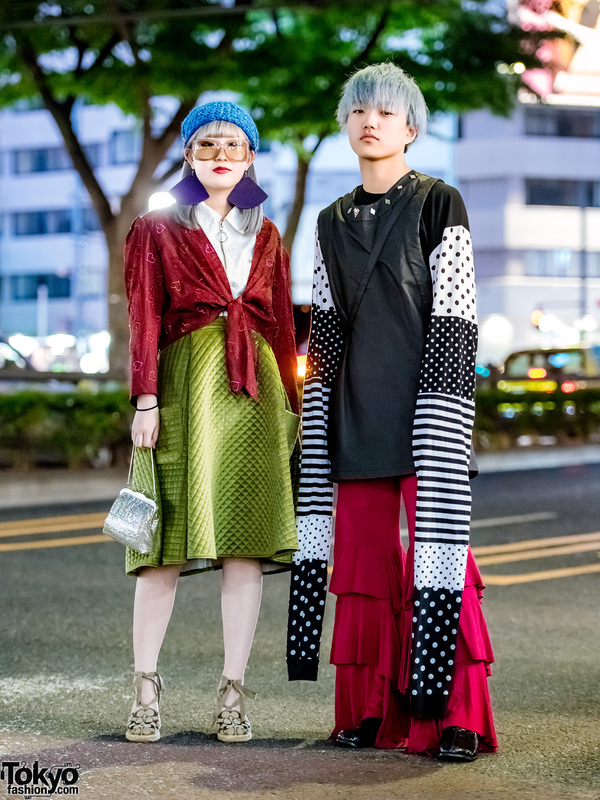 Harajuku duo sporting preppy and monochrome fashion styles while out and about on the street.